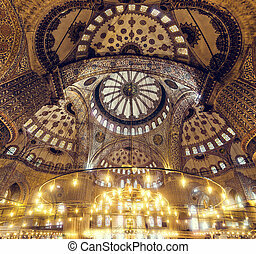 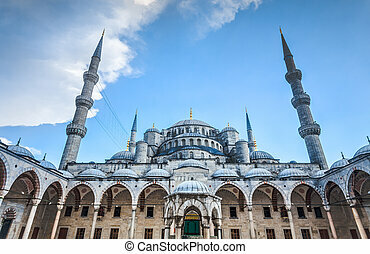 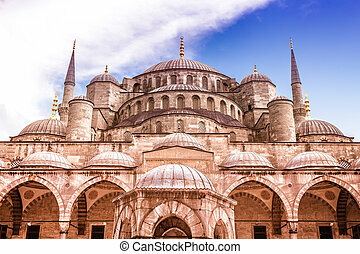 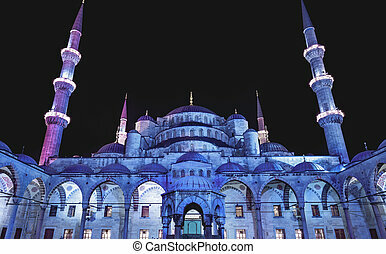 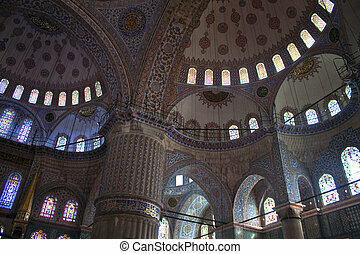 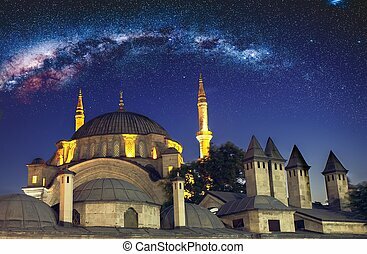 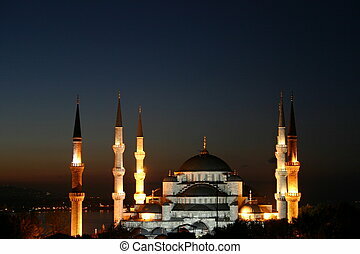 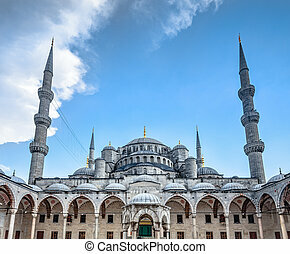 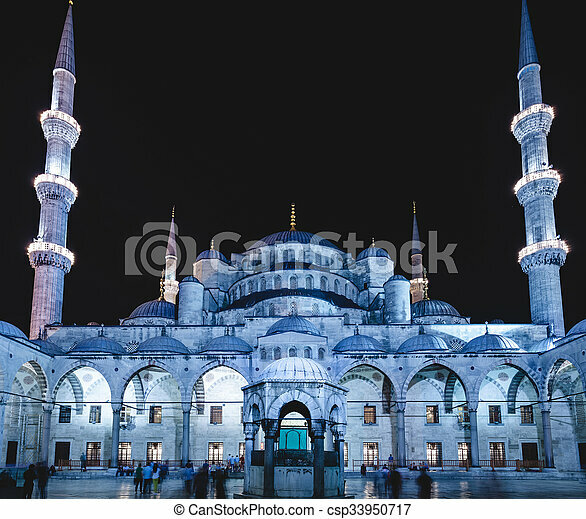 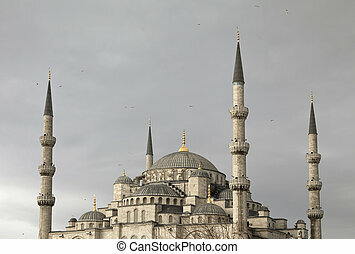 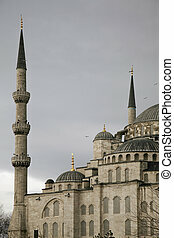 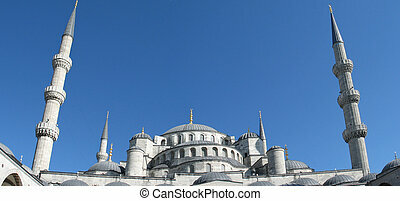 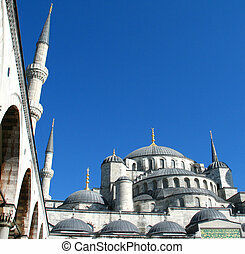 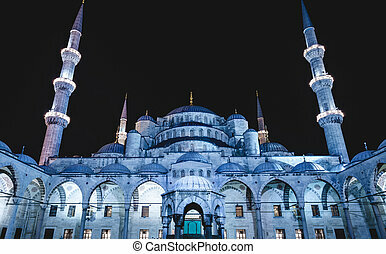 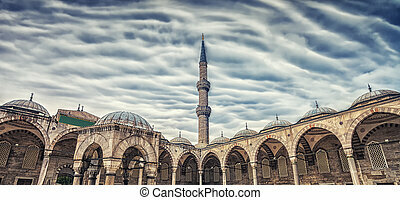 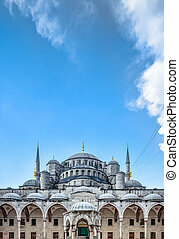 Blue mosque in istanbul. 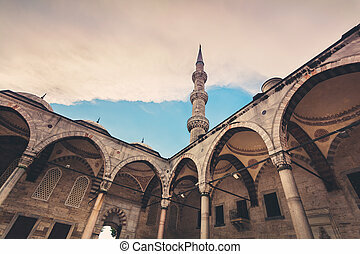 Courtyard of the blue mosque (sultanahmet camii) at dusk, istanbul, turkey. 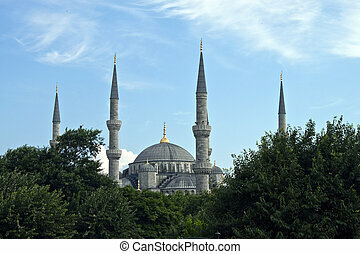 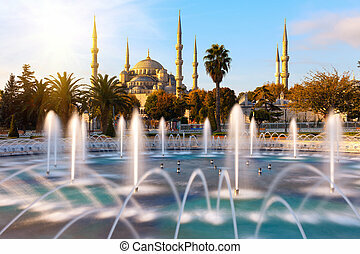 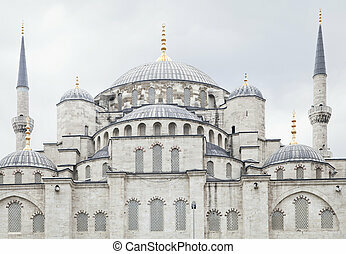 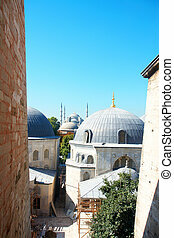 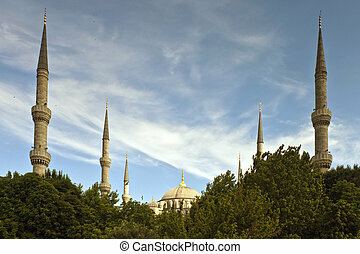 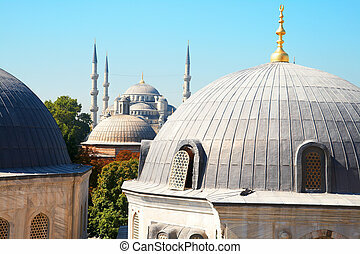 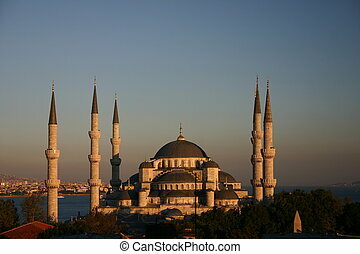 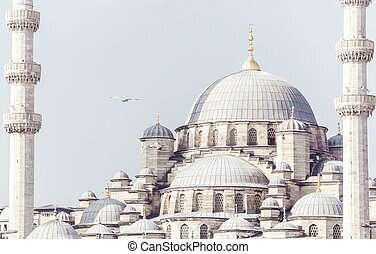 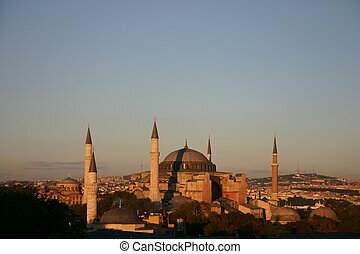 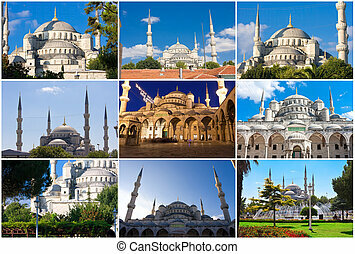 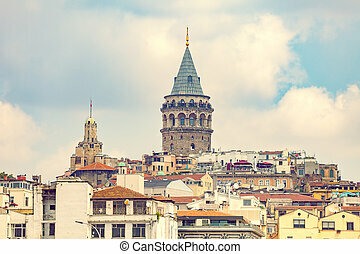 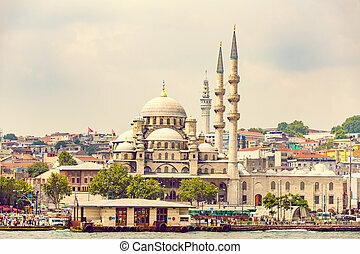 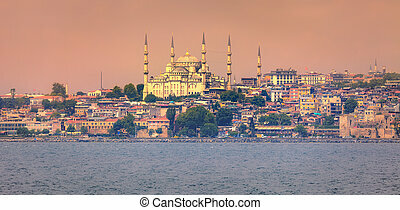 Istanbul the capital of Turkey, eastern tourist city.